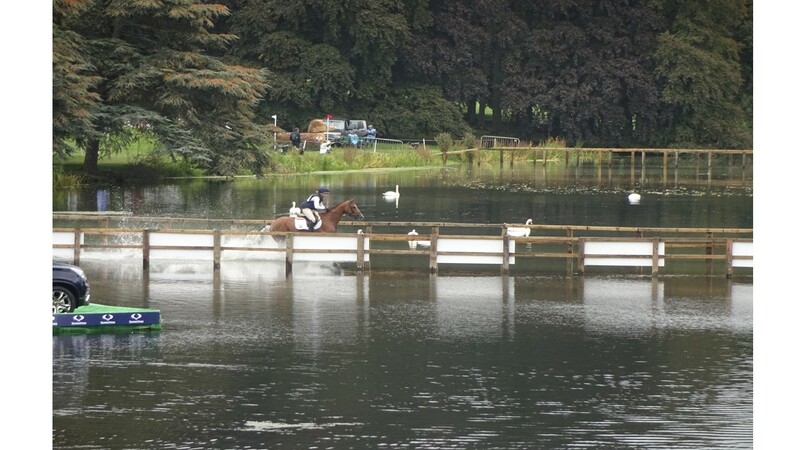 My favourite of the equestrian sports has to be Eventing. I know many of you will agree because of the cross-country phase. A lot of the riders themselves say that’s their favourite part. It’s one of the reasons I love Blenheim. This year was my sixth year visiting, I’m a bit of a regular. We’ve always attended on a Saturday or a Sunday, so you then get to see Cross Country and Show Jumping. 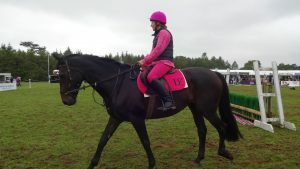 I’m not writing off Dressage, Show Jumping etc. 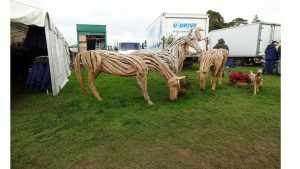 But the Horse trials at Blenheim, has so much going on. 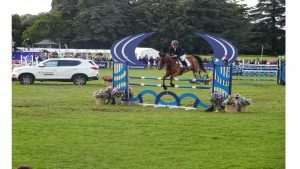 The fantastic Cross Country and Show Jumping, watching the up and coming riders as well as the star-studded line up is brilliant. 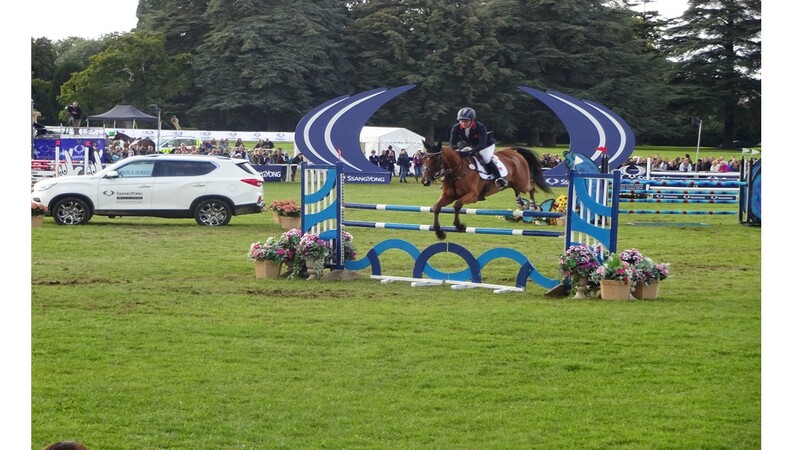 It’s amazing to see the size of some of the jumps, not simply height but the scope as well. 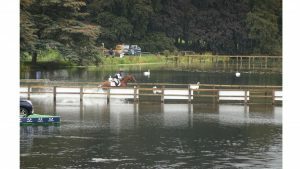 Water jumps are always a crowd favourite, as is the bridge. There’s also shopping, unfortunately we never had a stand this year. Fingers crossed for next year, right? But there is quite a large shopping area. 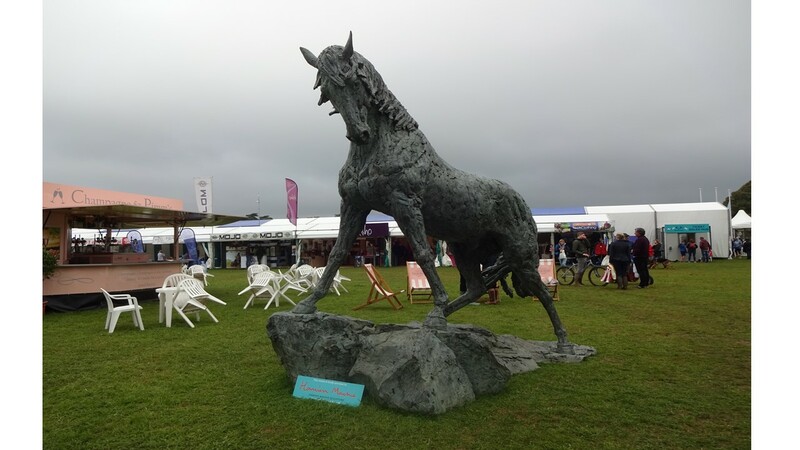 Not just limited to equestrian, we have country wear, with stands such as Dubarry (my mum’s favourite), as well as jewellery and fashion including Annabel Brocks, HiHo Silver and Joules. We all love shopping, especially when spoiling our four-legged friends. My only disappointment is the repetition of brands offered. It’s not that I dislike these brands, but when they are offered on pretty much every equestrian stall it feels like what’s the point of looking at the next one. However, you really can grab a bargain at these shows, so it is worth looking around. I also fell slightly in love with the sculptures on display. I wasn’t the only one either, it attracted a lot of attention. Centre of attention at Blenheim this year was this gorgeous horse sculpture. The attractions arena is another highlight of the day. Unfortunately, the High Jump was cancelled due to the ground after the not so great weather. A decision that I totally agreed with, but if you do get a chance to watch it, it’s something I’d definitely recommend. It’s great entertainment, a lot of light hearted fun and normally for a good cause. New for this year was a bitless demonstration. I found this rather interesting as I think bitless is something that not everyone has seen or considered. 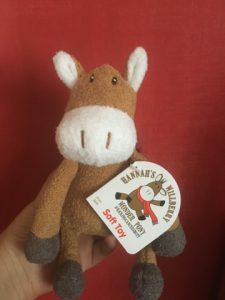 It wasn’t something I’d ever tried until we made the decision to turn my spoilt cob into a bitless pony. It was a nice informative look at how ridden bitless doesn’t mean lack of control, and doesn’t mean that you are prevented from doing what you’d like with your horse. I also quite liked their bridles. Also on display were the Thames Valley Police, showing how they train their horses. It was quite educational, and really got me thinking about ways you can get your horses used to things that might be quite spooky when out and about. As you know, I’m a heavy horse lover, and one of the horses the Police bought with them was Luna, a Normandy Cob. She is rather a large girly, very similar to Ellen. Unfortunately, I didn’t get a pic. As always, we had the side saddle ladies, demonstrating that side saddle isn’t a forgotten form of ridden, nor is it just an elegant look. 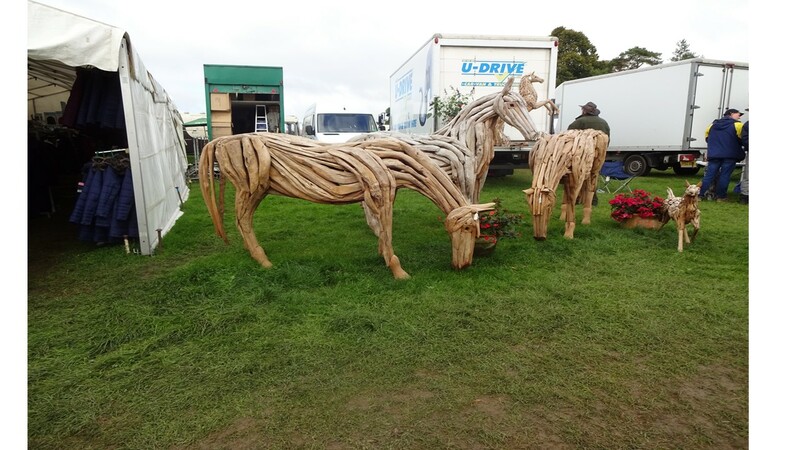 They really show off their fab horses, having a lot of laughs including demonstrating jumping. They later go in to the main ring with the Hunt and their hounds. This is also a spectator favourite. They do it every year, and people are invited in to welcome the hounds. I know a lot of people have very differing views on the hunt. It’s really not something I want to go into. 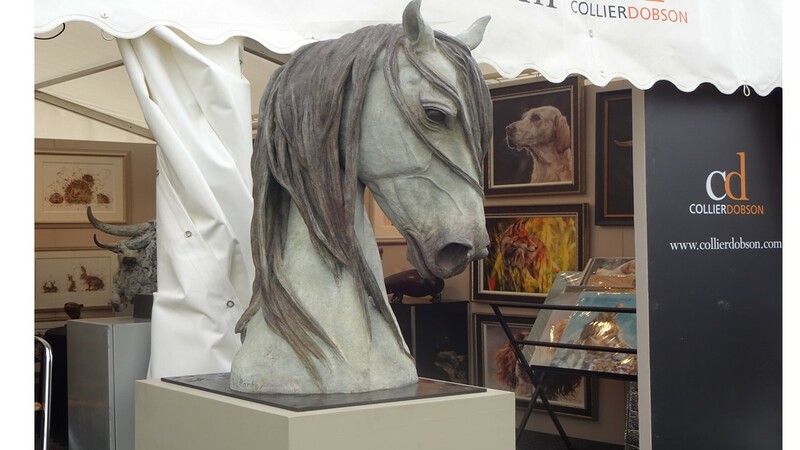 At Blenheim, it really is a celebration of the beautiful animals. This year we were lucky enough to see three different hounds; the Foxhound, the Blood Hound and the Beagles. As an animal lover, it’s one of my favourite parts of the show. There is so much more on display, but between shopping and watching cross country etc, I simply couldn’t watch everything. Don’t forget the learning area, which has brilliant talks on feed, including best feeds for winter. Then there is of course, the beautiful background of Blenheim Palace, it is simply stunning. You can also take part in the Fun ride on the Sunday Afternoon, this is very popular. It’s also on my to-do list. Of course, I couldn’t end this without showing off one of my purchases. I had everything crossed that they would still have ponies left by the time we arrived on Sunday, and thankfully they did. I can’t wait to introduce him to the girls. I also have to say a huge happy birthday to my best friend, my Mum, whose birthday was on Saturday. Please let me know what events you like to attend throughout the year. I would love some suggestions of where I should go next.